If you are looking for a new wardrobe to fit your shape perfectly, then there is no better place to start than one of the top names in fresh chic; Kita Ku. This trendy plus size clothes wholesale store is the ideal place to start if you want on-trend clothing in sizes that flatter. Choosing your style is easier than ever with a range of clothing to accentuate your form and celebrate the chic new you! 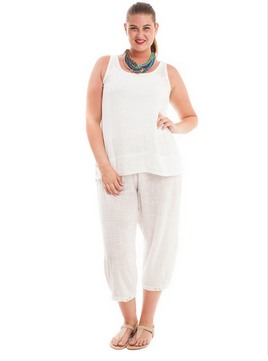 One of the best plus size clothing labels Australia has that sells wholesale is Kita Ku. Renowned for their stylish and modern tops, one way to make sure you look great this season is to choose a top that fits you well, and with a range of sizes available, Kita Ku could be your one-stop destination for this season’s wardrobe. Kita Ku has a range for all styles, from modern chic, to classic and every day wear as well as something special for those big occasions. Finding a great outfit isn’t hard thanks to the great variety of items, as well as the diversity of the sizes and materials used. With one item from each of the ranges available at Kita Ku, you will be able to find the perfect outfit to suit your size perfectly. The Voile collection is a great place to start your new wardrobe, and with the Double Vee you will have something stunning to wear at the last minute. The Double Vee comes in the reflexions colour of creme champagne and is a knee-length dress featuring stunning pattern and materials used throughout. Kitaku has a wonderful range of colourful and vibrant patterns and prints, but if you need some basic and simple outfits to fix with your existing wardrobe or for new additions then the white singlet S234 is the perfect addition to your style. Featuring a timeless colour with classic lines, this singlet will be the base layer of your outfit, making it one of the many must-haves for this season. The Lycra Basic collection is a great first step into creating your new outfits. Featuring a number of tops that are made to feel comfortable and breathable, the collection has a number of basic tops which feature classic lines to make any shape look fresh and chic! The Kaftan K105 Curvy Shell is a great choice for a thigh-length top that flows around your shape, giving you a comfortable and effortless look of style. This stylish print top is one stunning example of the high quality prints and fabrics that Kita Ku’s plus size clothing range specialises in. Featuring a rich colour combination of sky-blue and black with long sleeve and a stylish pant, the dress is made to have a cool look in every way. The Top Candy LS T303D outfit is the perfect addition to any wardrobe, and is simply too gorgeous to wear. Buying plus size clothing wholesale doesn’t have to be a chore, seeking out specialist stores in town and visiting endless markets - with Kita Ku you can get on-trend fashion at wholesale prices delivered to your door. With a wide range of clothing on offer, there is something to fit just about any style, in real women’s sizes! No other plus size clothing wholesaler in Australia can offer you the choice range of fabrics, patterns, stylish outfits and clothing and accessories as Kita Ku can. Featuring a number of specialist ranges that delve into new trends and popular items, and adds a twist in terms of print and inspirational patterns. 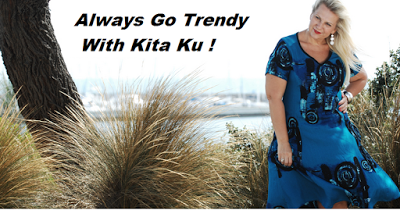 Make Kita Ku your next stop for your new wardrobe and discover on-trend clothing at wholesale prices.